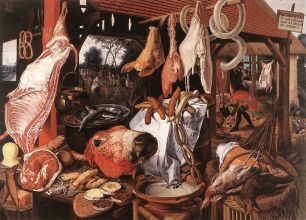 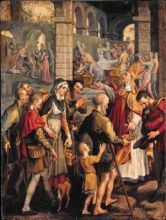 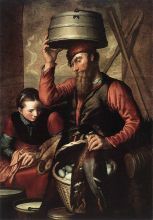 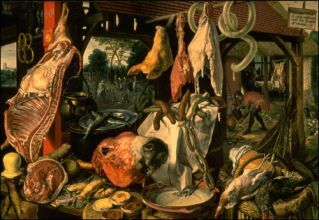 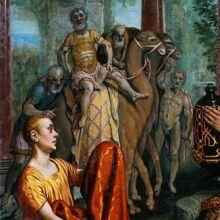 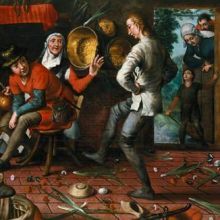 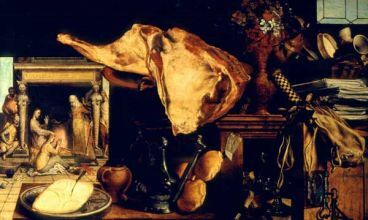 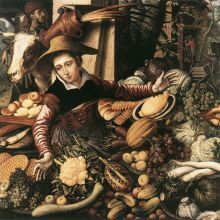 Pieter Aertsen (1508 – 1575), called "Long Peter" because of his height, was a Dutch historical painter. He was born and died in Amsterdam, and painted there and in Antwerp, though his genre scenes were influential in Italy. 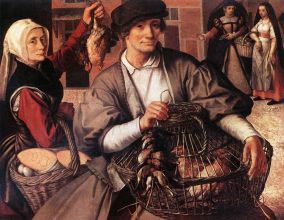 As a youth, he apprenticed with Allaert Claesz. 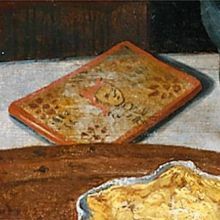 He distinguished himself by painting domestic scenes in which he reproduced articles of furniture, cooking utensils, and so on, with marvellous fidelity. 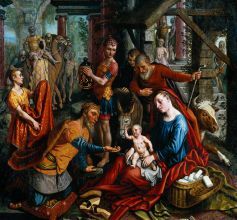 Later in life, he began documenting historical scenes. 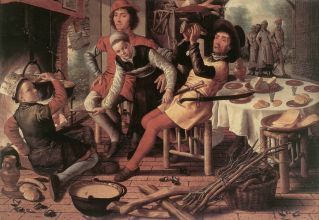 Several of his best works, including altarpieces in various churches, were destroyed in the Netherland's religious wars. 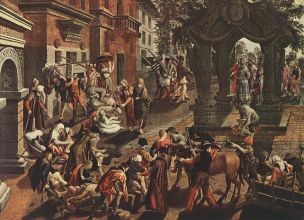 An excellent specimen of his style is a painting of the Crucifixion,. 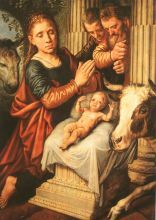 Aertsen was a member of Antwerp's equivalent of the Academy of St Luke. 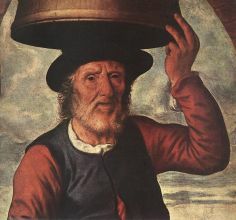 In the official books of the Academy he is known as "Langhe Peter, schilder" (Long Peter, painter). 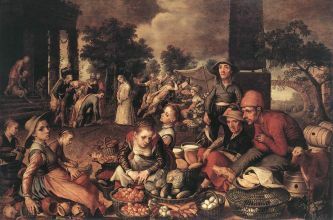 Three of his sons are acclaimed painters, and his other pupils included Giovanni Stradano and Aertsen's nephew, Joachim Beuckelaer.